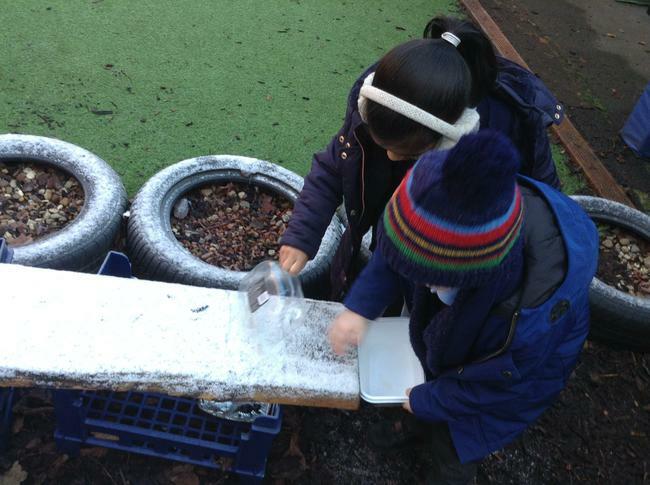 On Tuesday we downed tools, wrapped up and took advantage of the exciting weather! 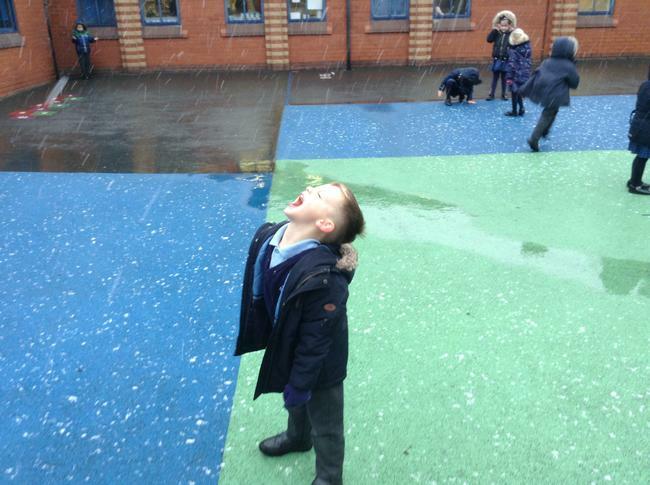 We had a wonderful time catching snow on our tongues, counting how many snow flakes we could catch using our tripod grasps and collecting snow and ice in tubs. 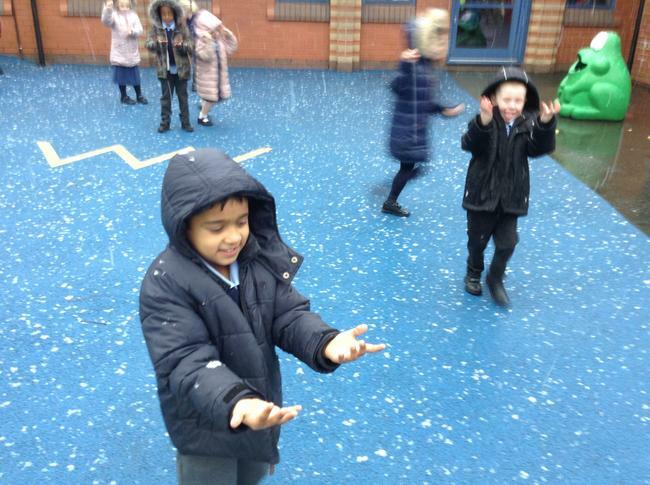 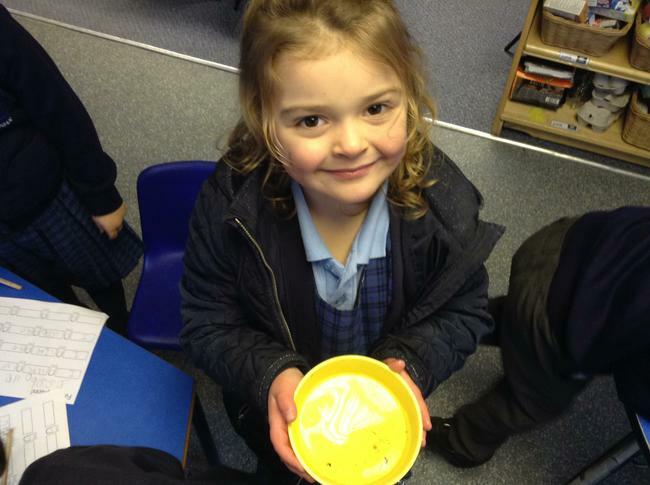 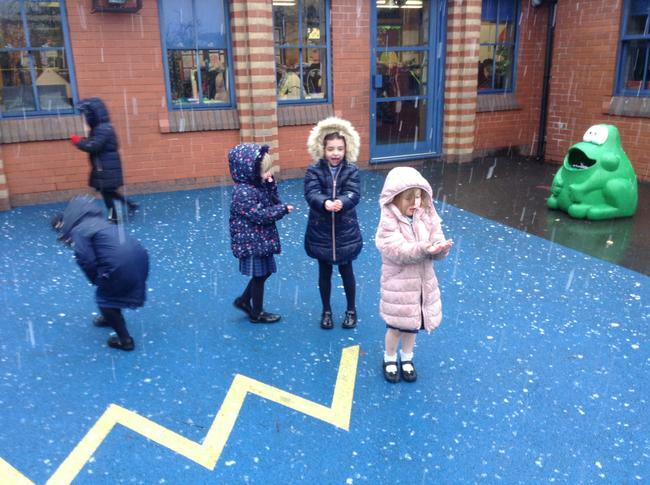 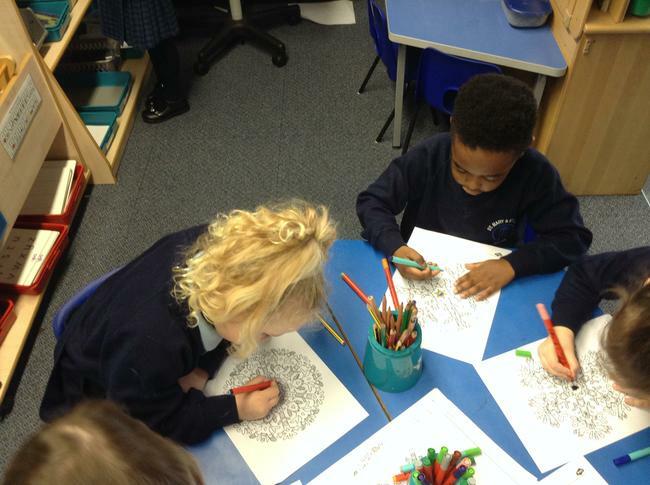 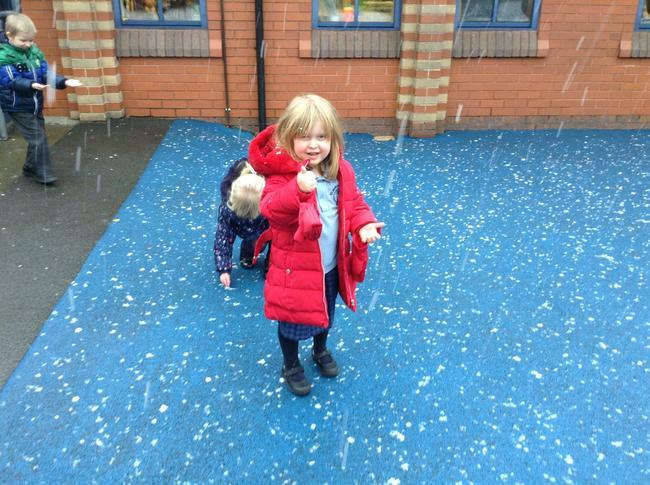 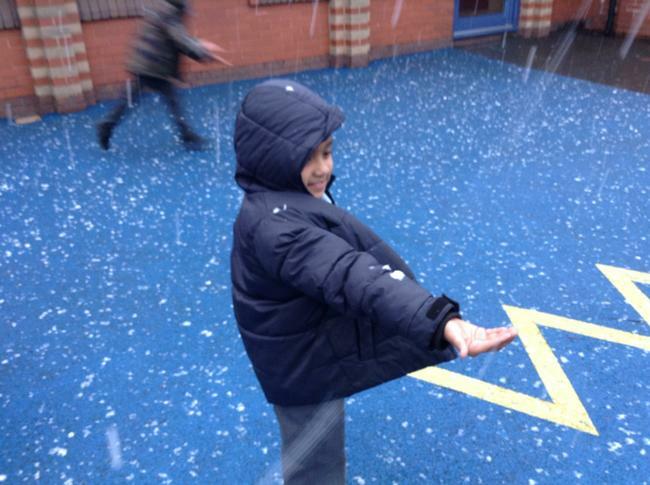 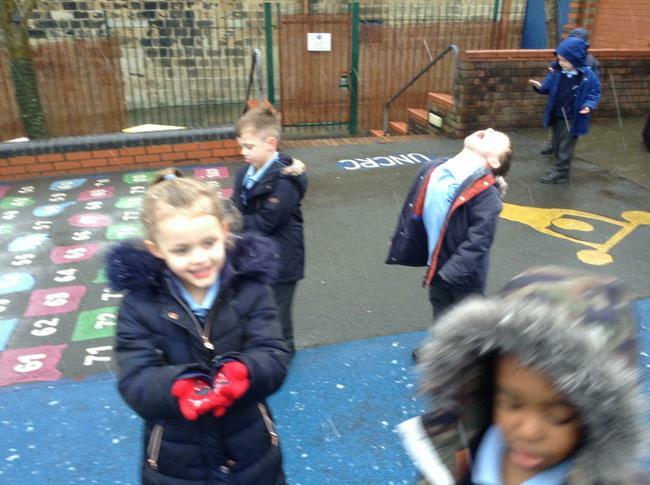 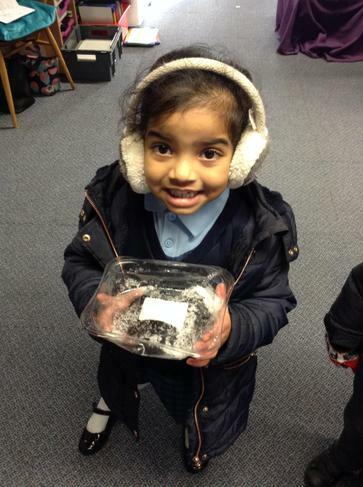 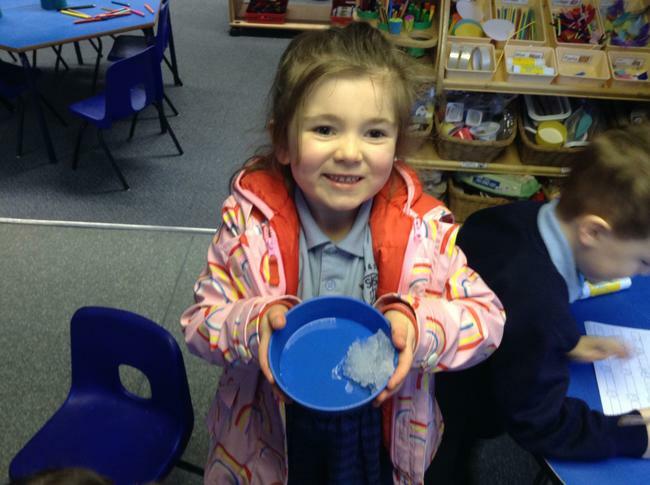 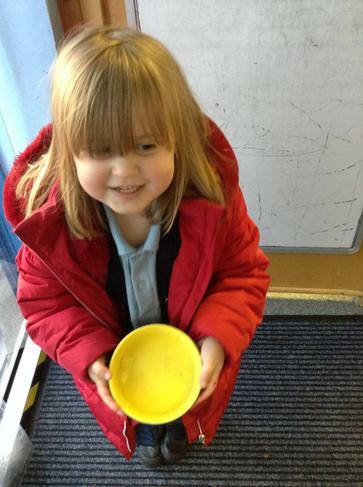 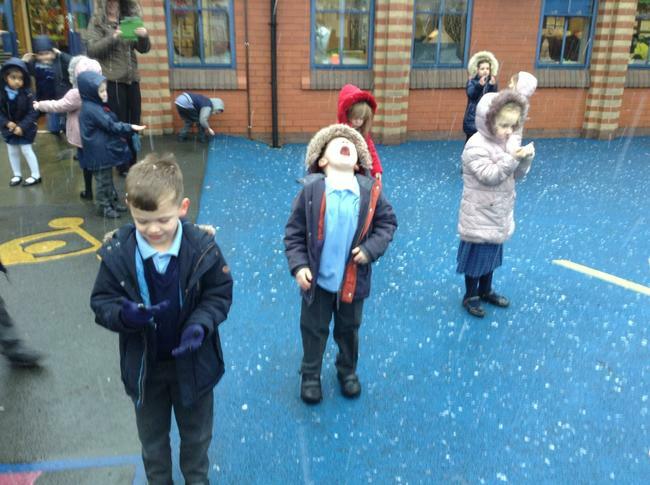 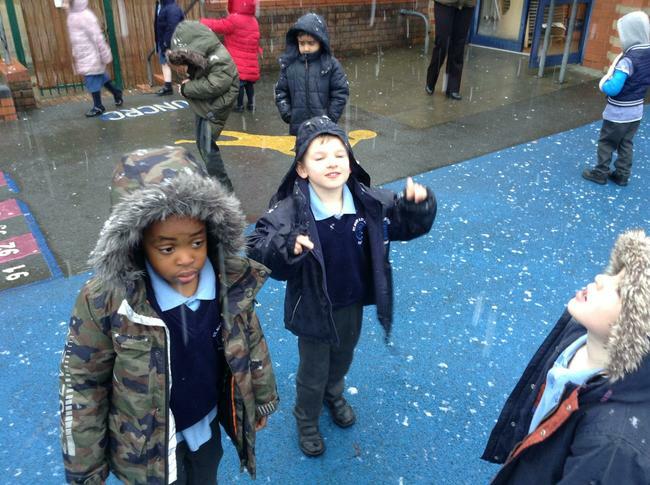 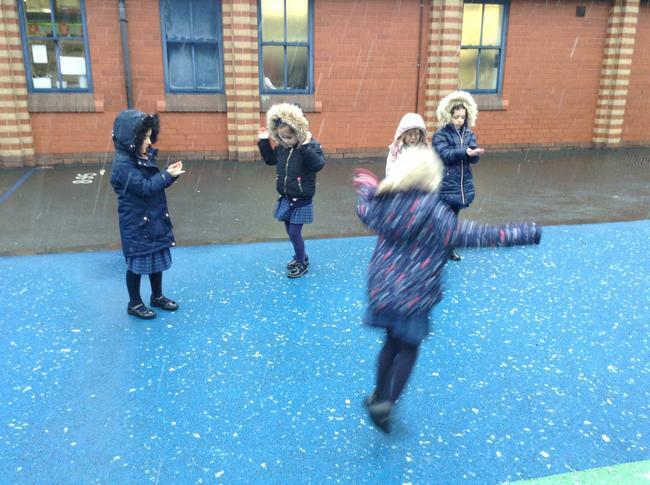 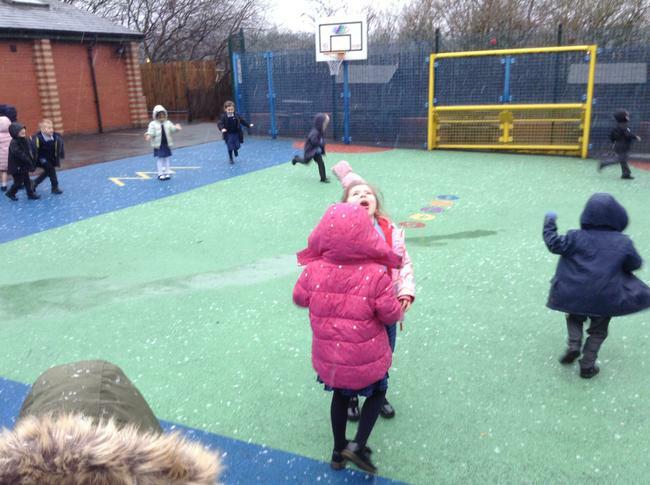 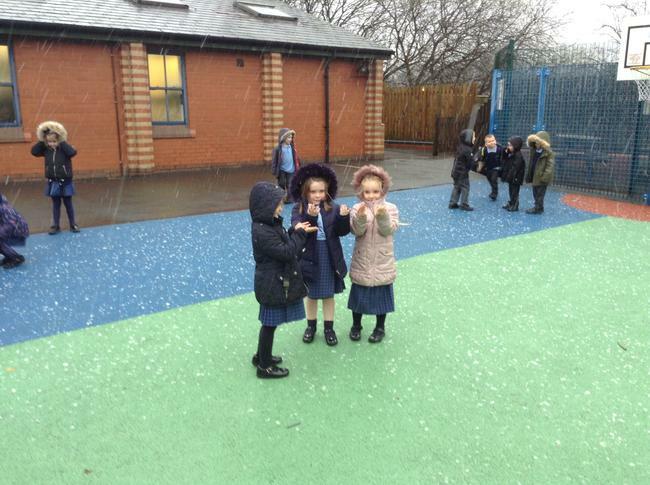 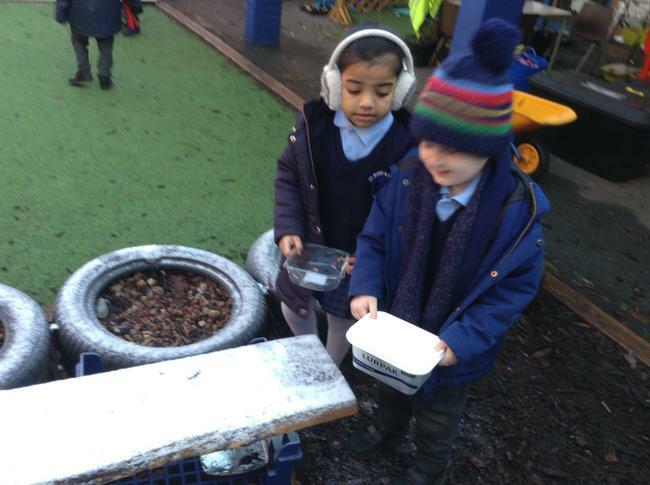 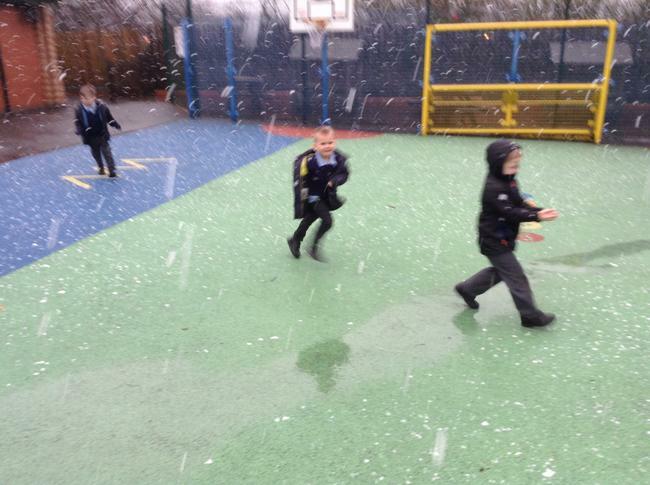 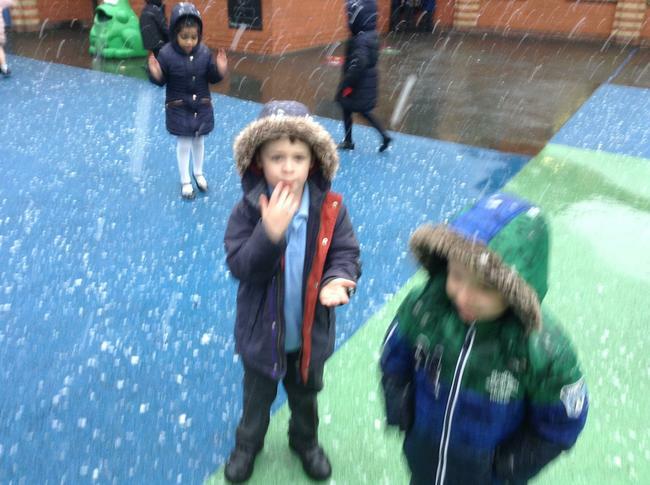 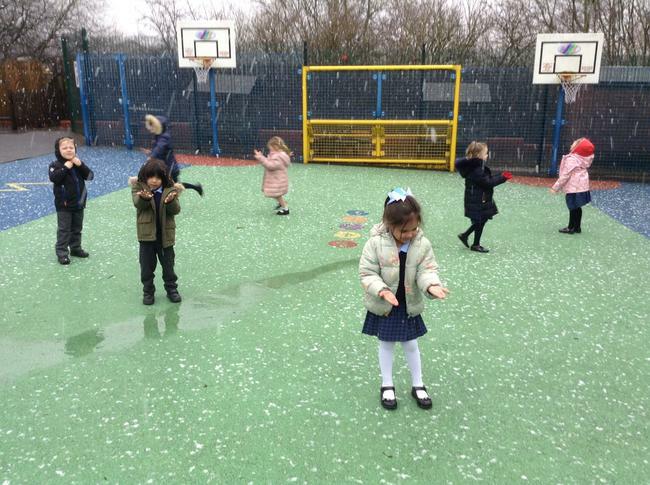 The children observed the changes to the snow once they brought it inside and used some fantastic scientific language to describe what happened.